A clear and proprietary message and point of view are a critical part of a company’s success. This can be achieved in many ways, some visual, others operational. A strong identity is the foundation. The entirety of a company’s communications completes the structure. Fifty years ago, the communications package included print materials, advertising, and, perhaps, television. Today, the venues to disseminate a message are not only vast but are constantly shifting. 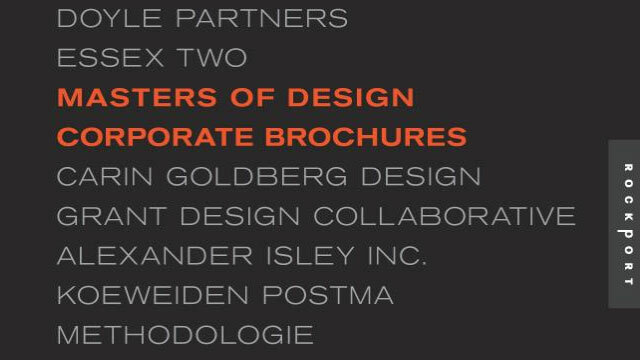 Designers now articulate the message with booklets, annual reports, brochures, posters, websites, mobile devices, motion, and ever-increasing new technologies. A key point today is the prevalence of digital and web communication. Why is print important? Is print relevant? Are we seeing the end of print? These are all questions that are asked by the design and business world. 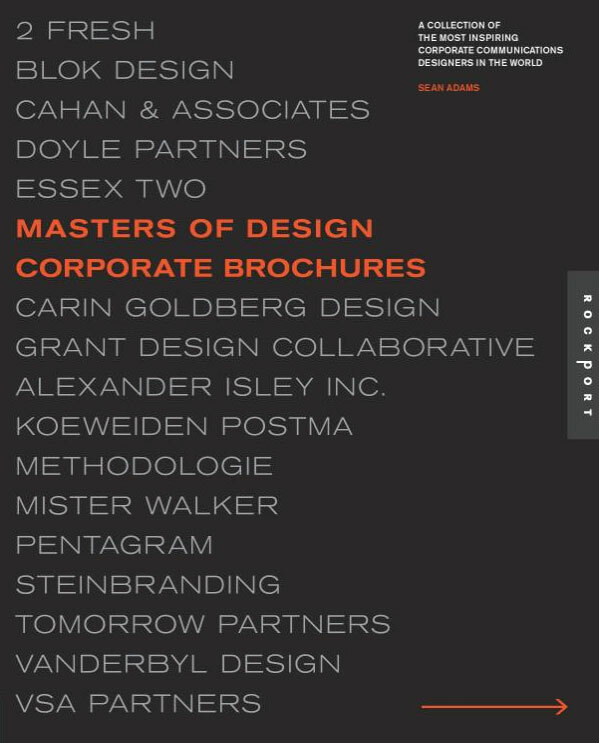 As evidenced by the twenty masters in this book, print is alive and well, more relevant, and by no means disappearing. The audience is using other technologies to find information, but an object maintains an emotional connection as an artifact we hold and keep. There may be fewer pieces being produced in print, but the pieces being made are even more important. It is not enough to slap together an acceptable booklet. That booklet must now hold all of the client’s qualities and messages and impart them in the strongest way possible. There is a process that a viewer uses to access information online. It follows like this: go to a company’s website, click on the appropriate navigation, drill down deeper, find the information, stop. This is useful and efficient to identify facts and understand a question. The process to access information in print is different: pick up the publication, leaf through the pages, notice other messages, find the answer, hold the object and experience an emotional connection and sense of ownership. If a designer’s goal is to communicate the breadth and depth of a client’s abilities, as well as a clear personality, the object—the publication—becomes a critical vehicle. It may serve as a “gateway” to the website, but it is the artifact that will sit on someone’s desk or bookshelf. It will be handled and the texture of the paper will become a tactile experience. And the viewer may stumble across an idea they weren’t looking for while glancing through the other parts of the publication. In the same way that a strong identity cannot make a poor company better, strong print publications cannot be the only vehicle for a company to succeed. The combination of a strong logo and identity system, superb print collateral, and the highest quality of digital communications can make a very good company spectacular. The masters in this book share the common trait of working with a company to pull together all of these aspects and combine them with operational and human resource issues to propel their clients into areas beyond their expectations.